"Obama profited from his “community activism” in ways that the Rev. Edward Pinkney in Benton Harbor, Michigan certainly hasn’t and can’t anyway in America, since his “perspective” remains focused Black, working class, and poor. Can’t find foundation positions fixated on Black folk! Obama would never find himself in the position the Rev. Pinkney is in now unless he starts talking about the treatment of Black Americans and the need for reparations! White America loves Obama because he “gets along” with white America and even the worst of criminals in America! He will never find himself like the Rev. Pinkney, sitting in the Berrien County Jail for almost two months. The Rev. Pinkney’s reward for his community activism is to endure, as his wife, Dr. Dorothy Pinkney told me, “very filthy” conditions, where he’s lost twelve pounds and where the authorities won’t even allow his wife to see or speak to him. The Rev. Pinkney is “insolent,” according to the authorities at Berrien County Jail. Black activists like the Rev. Pinkney are “insolent.” And let’s remember that being “insolent” was a crime for which newly freed Blacks were punished and incarcerated during Reconstruction (see Eric Foner’s Reconstruction, America's Unfinished Revolution, 1863-1877: (New American Nation Series) ). The Rev. 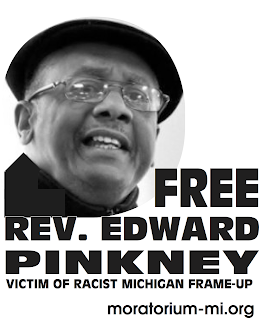 Pinkney’s activism represents the historical struggle against institutionalized oppression. He isn’t one of “a few bad apples on the night shift,” as liberals like to tell themselves and others in Latin America, Europe, Africa, and Asia. He just isn’t about getting along with the cabal of liberals or criminals! Historically, Black Americans have been the face of progressive struggles, progressive activism. Focus on the Rev. Pinkney because he has sacrificed for the marginalized people. Contact the Berrien County Jail at 269-983-7111, ex. 7231 and the Sheriff’s Dept. at 919 Port Street, St. Joseph, MI 49085, (269) 983-7141, pbailey@berriencounty.org. You can also express your outrage by sending post cards demanding the Rev. 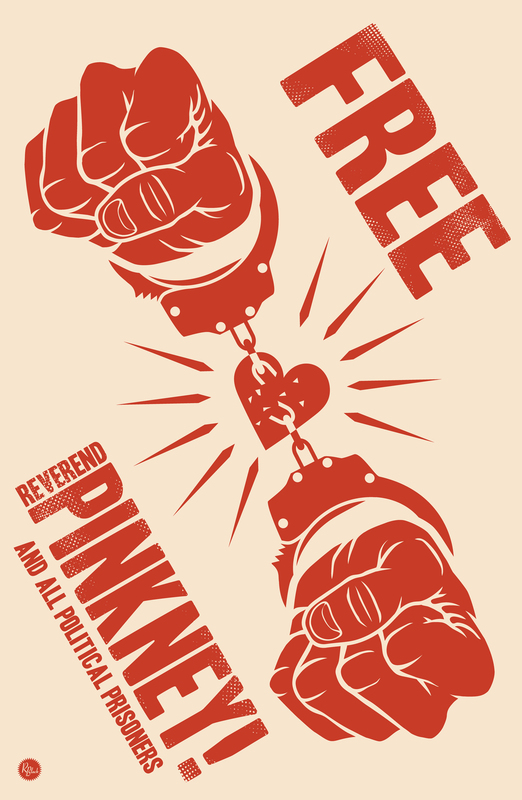 Pinkney be pardon (something I am sure Obama would do with the criminals sitting in the White House) to Gov. Granholm, P.O. Box 30013, Lansing, MI 48909. Real SHOUT your anger at Rep. John Conyers - MICHIGAN!!! Call his office at (202) 225 5126. Ask Rep. Conyers why a real community activist is in jail while the Black Caucus threw a party for Bill Clinton! Get on in the movement - the Reconstruction Party is for now!"